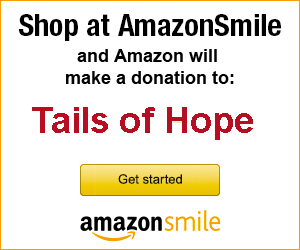 Tails of Hope is a 100% volunteer run, non-profit, 501(c)(3), no kill, all breed Animal Rescue organization serving New Jersey. We are a dedicated group of volunteers working to help the homeless dogs and cats in our area. We provide animal rescue, help with veterinary care, training, humane education and fostering/adoption services. We have saved hundreds of area pets from going into shelters and helped struggling families with medical expenses so they could keep their beloved pets in their homes and contributed to spaying/neutering/vaccinations for many cats and dogs.